1840 ! Chinese bowl ! Comments for 1840 ! Chinese bowl ! Apparently the person who told you that was himself/herself not sure... This is a Kutani mark. Kutani is a well known Japanese kiln. 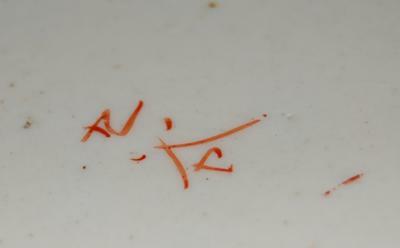 Please look for someone specialized on Japanese porcelain and show them pictures of the item. I'm afraid I cannot help with the age of Japanese porcelain.